ARM Automation worked with a leading supplier of consumable medical diagnostic devices to develop a fully automated assembly and inspection process for one of their high-volume product lines. Each device consists of multiple small plastic components which required precise coating in specific areas with minute amounts of various chemicals reagents. 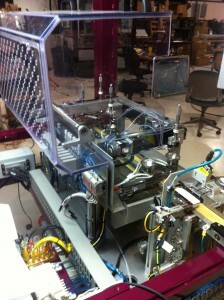 At full rate this system is capable of producing quality devices at approximately 120 parts per hour without leveraging any simultaneous or parallel part processing which could potentially confound the traceability of quality required by the customer and the US Food and Drug Administration. ARM developed a solution based around a series of modular workstations each containing a stand-alone frame, controller, material handling system and HMI interface. 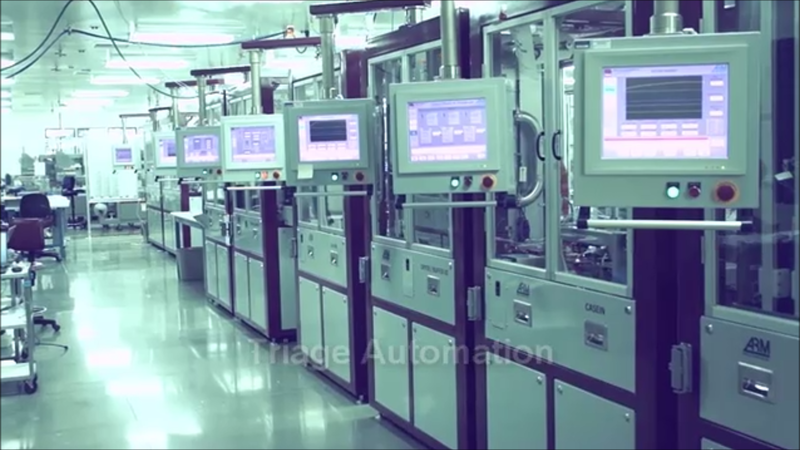 This modular approach allowed the customer to gradually phase-in and qualify each automation process into it’s production operations, as well as provided a convenient degree of system modularity and flexibility to accommodate future process changes. By providing each cell with a standardized input and output, along with a universal software and controls handshake, each cell could be mixed and matched without significant effort or downtime. Several of these process steps presented challenges which had previously thwarted attempts to implement automation. 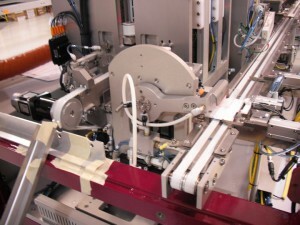 In particular, the joining of two elements of the assembly required a force fit of fragile components. 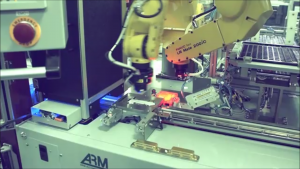 Through some creative problem solving and quick prototype testing efforts, ARM was able to devise a reliable scheme and verification method to make this formerly manual process into a worry-free automated one. While ARM conforms to many customer-required standards during the development, qualification and installation of its systems, we often find that our medical customers particularly value our experience and familiarity with GAMP (Good Automated Manufacturing Practice) guidelines and procedures. This Quality process is similar in many ways to that of other tools, such as ISO9000 family of quality management systems. 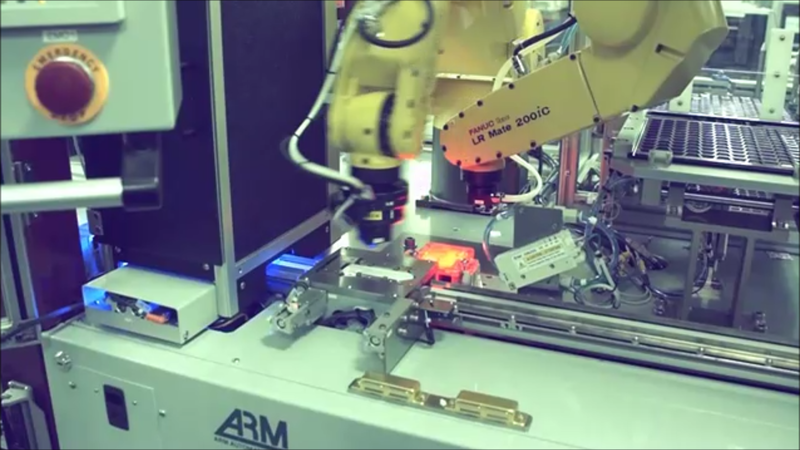 By combining this process with ARM’s own internal quality procedures, we can ensure that customer needs are correctly addressed and that our work product provides the highest levels of quality and reliability possible.